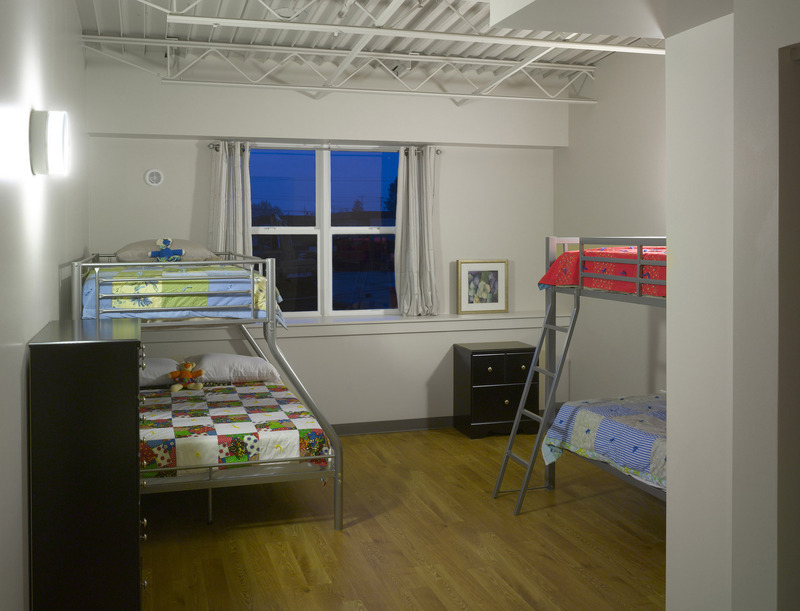 Everyone Deserves to Be Safe is a secure 52 bed shelter for survivors of domestic violence. 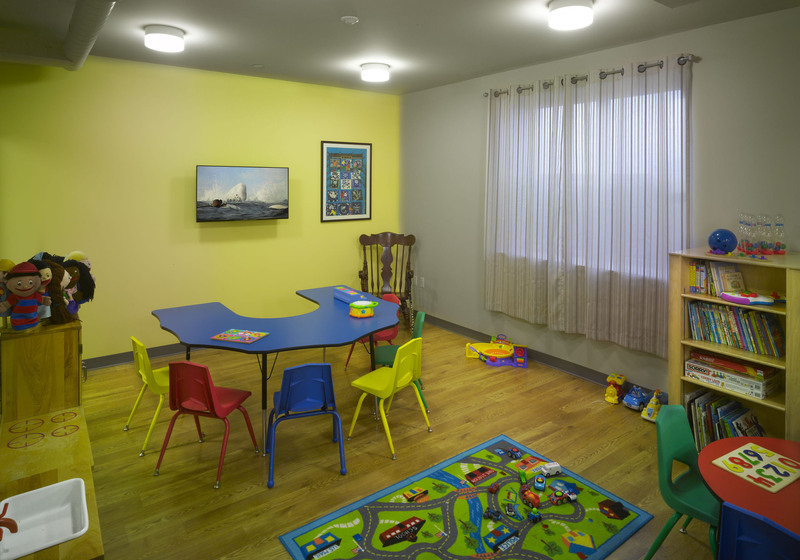 Located in a surplused army reserve center, the repurposed 1950’s building also provides family support spaces and administration space for counselors, attorneys, volunteers, and staff. 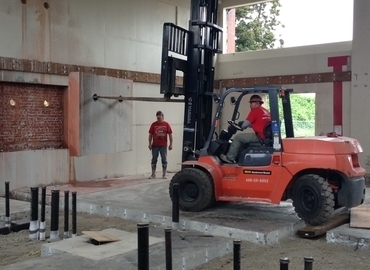 With additional CDGB funds, a youth center was created in a renovated maintenance garage. 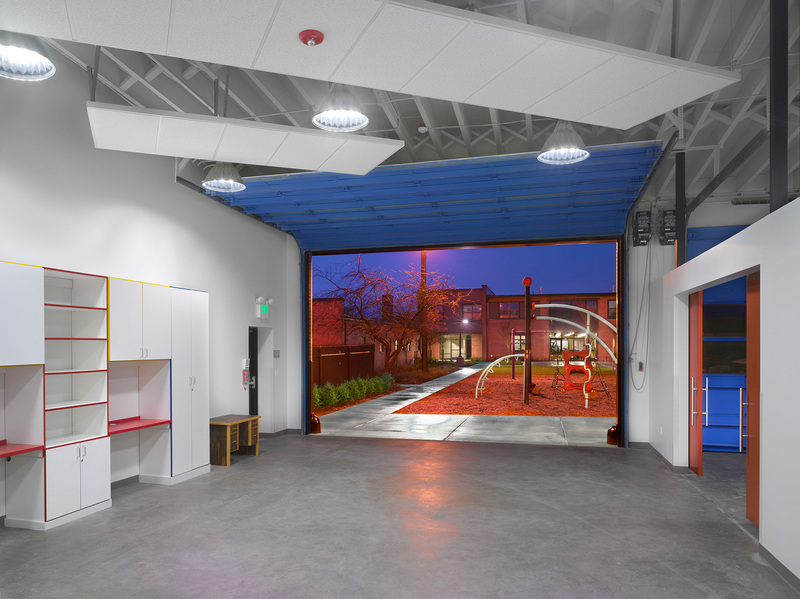 The design focused on converting the interior parking lot into a green space and connecting the interior spaces to this new lush landscaping and play area; in the hope of bringing relief and respite to the DV survivors and their support staff. 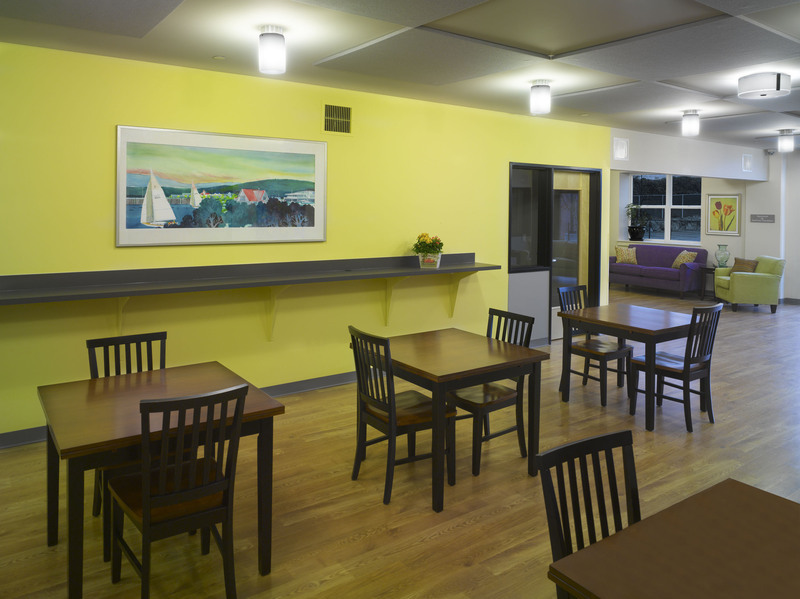 Individual rooms for each family, “found” furniture, and a dedicated staff create a supportive, home-like setting. The institutional character of the brick buildings have been softened with rockeries, flowering plants, bright colors and play structures. 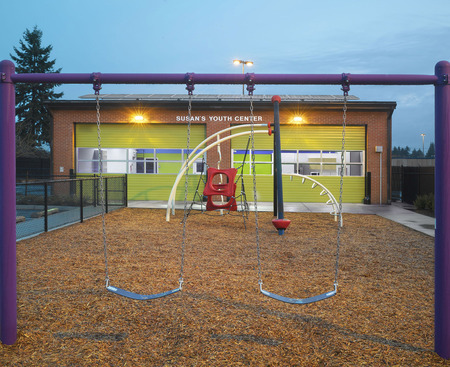 Outdoor spaces - a lawn area, patio, play areas, basketball court, and raised planter beds - and the youth center provide places for play, learning and socializing. 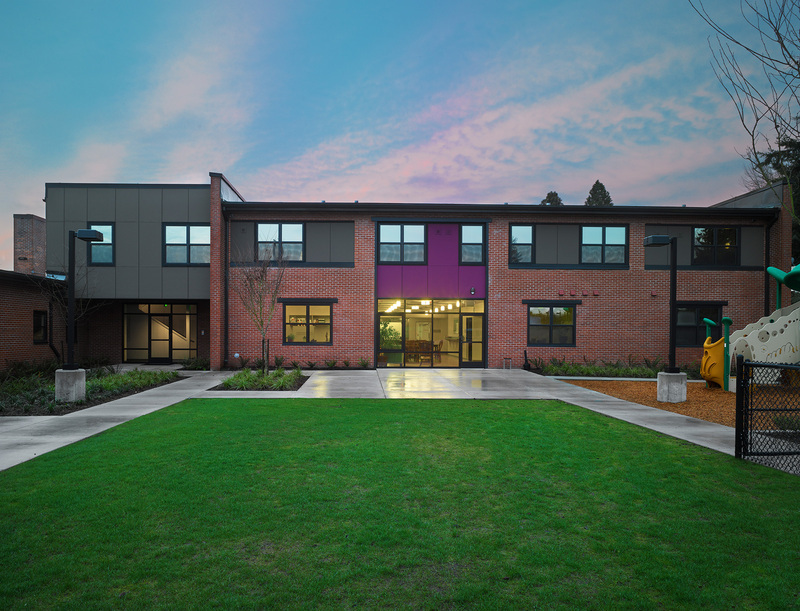 Funding came from the Washington State Housing Trust Fund, grants, and donations. HTF funding required that the project be designed to Evergreen Sustainable Design Standards. Solar panels are located on the south-facing roof of the youth center, visible to residents, staff and funders.